While on the one hand unresolved security issues pose a barrier to the widespread adoption of cloud computing technologies, on the other hand the computing capabilities of even commodity HW are boosting, in particular thanks to the adoption of *-core technologies. For instance, the Nvidia Compute Unified Device Architecture (CUDA) technology is increasingly available on a large part of commodity hardware. In this paper, we show that it is possible to effectively use such a technology to guarantee an increased level of security to cloud hosts, services, and finally to the user. Secure virtualization is the key enabling factor. It can protect such resources from attacks. In particular, secure virtualization can provide a framework enabling effective management of the security of possibly large, heterogeneous, CUDA-enabled computing infrastructures (e.g. clusters, server farms, and clouds). 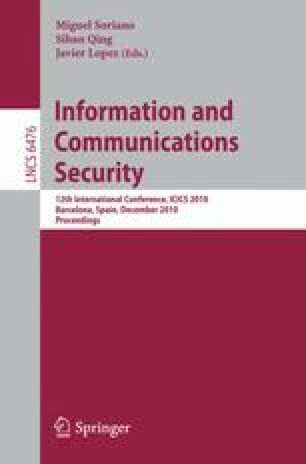 The contributions of this paper are twofold: first, to investigate the characteristics and security requirements of CUDA-enabled cloud computing nodes; and, second, to provide an architecture for leveraging CUDA hardware resources in a secure virtualization environment, to improve cloud security without sacrificing CPU performance. A prototype implementation of our proposal and related results support the viability of our proposal.